It's rare, but occasionally embroiderers see shifting, gapping, and misaligned stitches. Most often this occurs when using tear-away or water-soluble stabilizer. These types of stabilizer deteriorate with the needle perforations, leaving nothing behind to support the fabric. 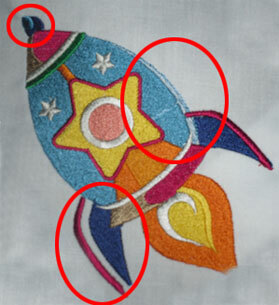 The fabric fibers stretch and skew, and stitches land in the wrong spot. To illustrate this, review the two examples below. The design on the left was stitched with tear-away stabilizer. The misaligned sections are circled in red. Compare that to the image on the right, which used cutaway stabilizer. To understand why this happens, we'll need to look at the "science" of embroidery. When we stitch on fabric, we add weight and tension to the fabric. We add stabilizer to the fabric to provide a firm foundation. There are three main types of stabilizer: cutaway, tear-away, and water-soluble. 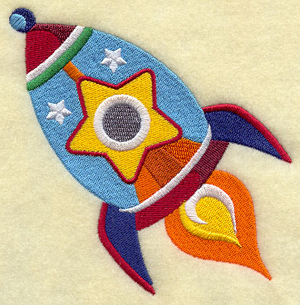 Tear-away and water-soluble stabilizers are attractive options to embroiderers, as they're removed from the back of the fabric, leaving a neat-looking finish. Cutaway stabilizer remains behind. Even though tear-away and water-soluble seem appealing, they're not the best choice for most fabrics. Most fabrics need a firmer foundation, and a permanent backing, in order to get the professional and precise results that we love. One of the most important factors in getting excellent results is choosing the right stabilizer. If you're seeing shifting and gapping in your stitchouts, please check the Fabrics 101 articles. Those articles give stabilizer, needle, and design recommendations. The articles are free for your use. Follow the tips and techniques for the fabric that you're using. - Loose (or no) hooping. Some embroiderers will hoop the stabilizer, but not the fabric. Pins, basting stitches, or adhesive are used to keep the fabric attached to the stabilizer. This method can work well, but sometimes the fabric will shift or move, and then you'll see gaps. For best results, hoop the fabric with the stabilizer. - Hoop obstruction. Embroiderers have found scissors, screw heads, tissue boxes, pin cushions, electrical cords, and other items that obstruct the hoop's ability to move freely. Check the area around your machine to make sure that the hoop can move freely. - Software and editing. Changing the size of a design with an embroidery software program, or using a resizing feature on your machine, will degrade the design. This can result in shifting and gapping. And, if you're using a software program that converts stitches to blocks (the Bernina software has this feature), then converting stitches to blocks will cause gapping, too. - Bobbin tension. If bobbin tension is too tight, then you may see gapping between fills and satin stitches. To gauge proper tension, stitch a satin stitch column and review the back side of the embroidery. You should see about 1/2 to 1/3 of bobbin thread. 1. Are you using cutaway stabilizer? 2. Are you hooping the fabric with the stabilizer? 3. 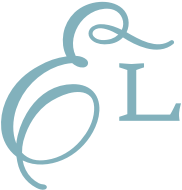 Are you stitching the design as is, without resizing or editing? If you answered "no" to any of the above questions, then try stitching the design again with the above recommendations and considerations. And, reference the Fabrics 101 articles for tips, too. 5. The areas where you're seeing shifting and gapping. If you can send a photo, that would be great. A picture really is worth a thousand words. Include all of the above-requested information. We'll check the design and stitch it with the fabric and stabilizer combination that you're using to try to replicate the problem.